Yes, I know St. Patrick’s Day was two days ago. LIfe gets busy and crazy, so we celebrated our Irish heritage a few days late in my home. 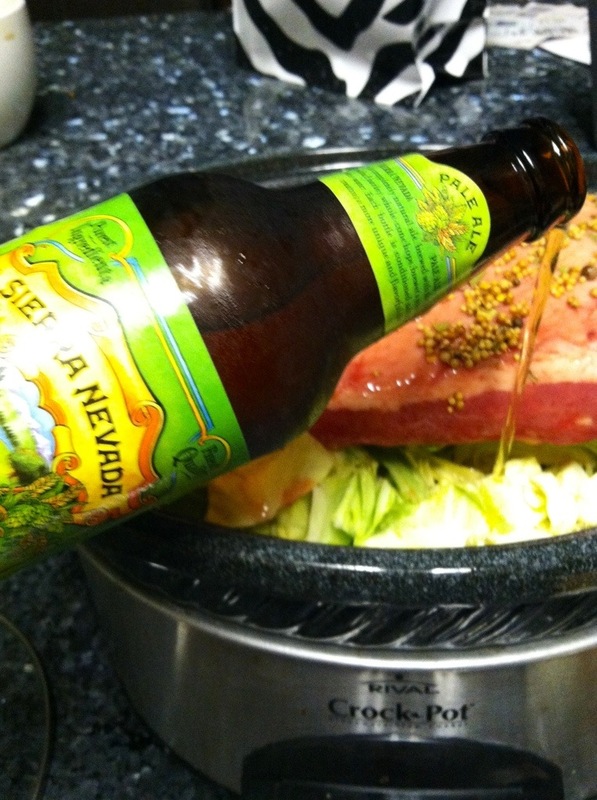 This isn’t your regular corned beef and cabbage recipe…my not so secret anymore ingredient is Sierra Nevada Pale Ale. 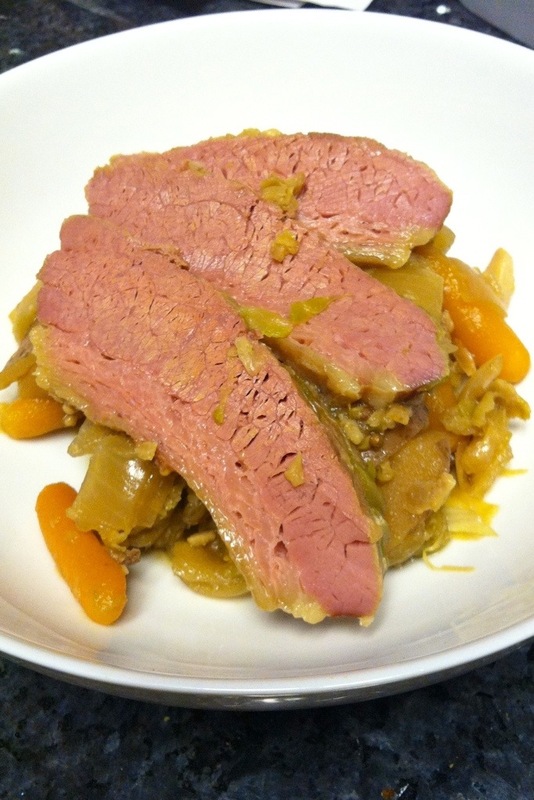 I know most people only eat corned beef on St. Paddy’s Day, but give this recipe a try if you are in the mood for corned beef and cabbage or file this away if you are the ultimate planner. You now have your 2014 St. Patrick’s Day meal plan here! 1. 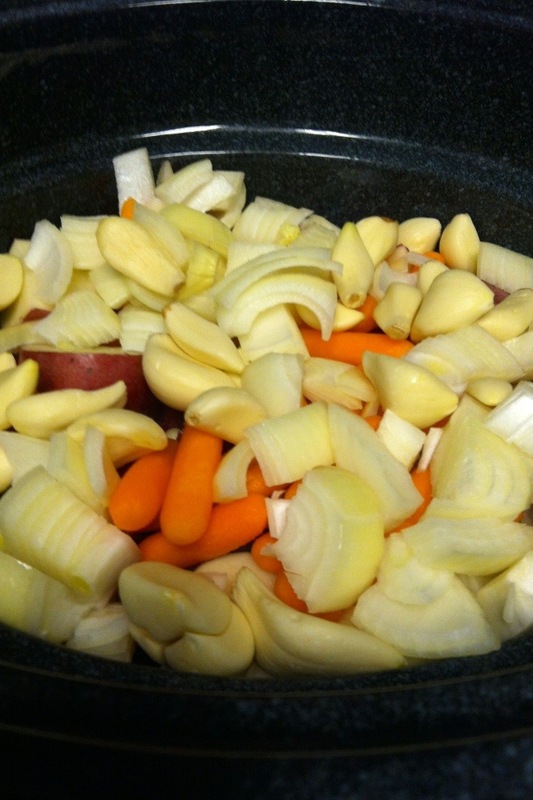 Place all chopped onion, potatoes, garlic, and mini carrots in large crock pot/ slow cooker. 2. 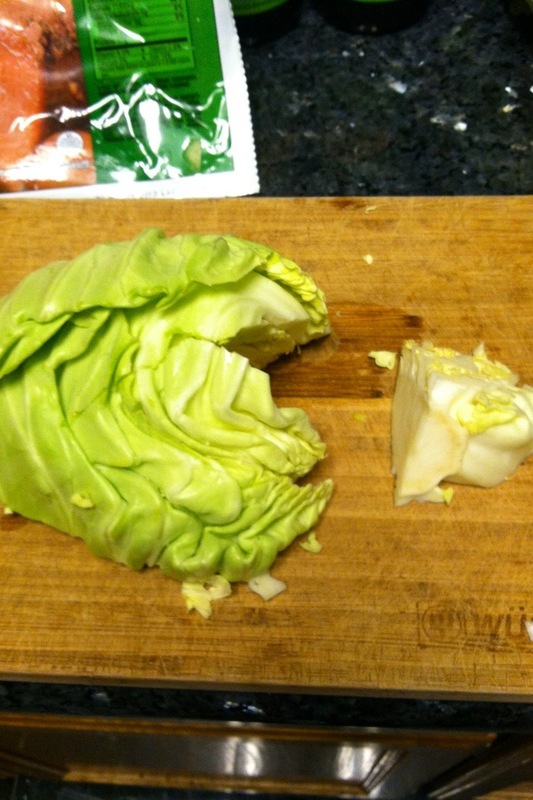 Slice head of cabbage in half, remove the core from each half, slice and place in slow cooker. 4. Carefully open corned beef, drain excess juice, remove seasoning packet and place corned beef fat side up in slow cooker. 5. 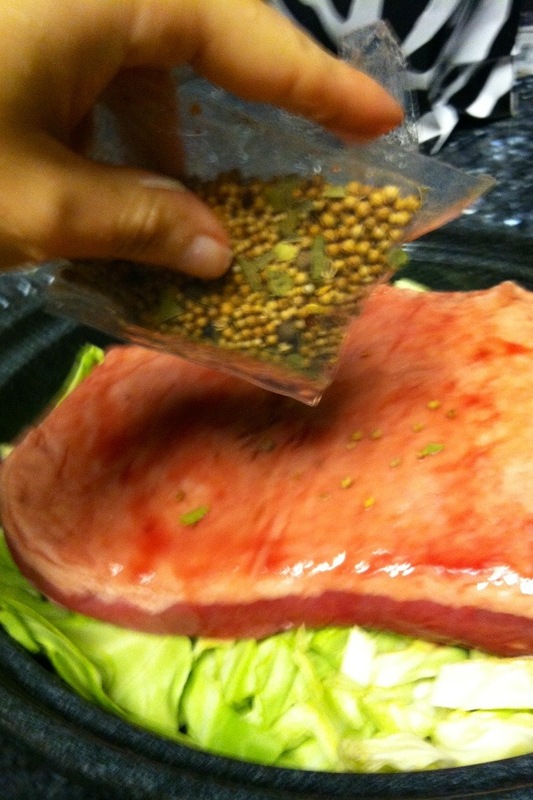 Sprinkle seasoning over corned beef. 6. Pour two 12 oz beers into slow cooker. 7. Set on low and cook for a minimum of 6 hours – maximum 24 hours. To serve remove corned beef, trim excess fat, and slice. Use a slotted spoon to remove vegetables from crock pot. I serve this in large pasta/soup bowls. I like to add a bit of the broth into my bowl. My husband loves mustard and horseradish on his. 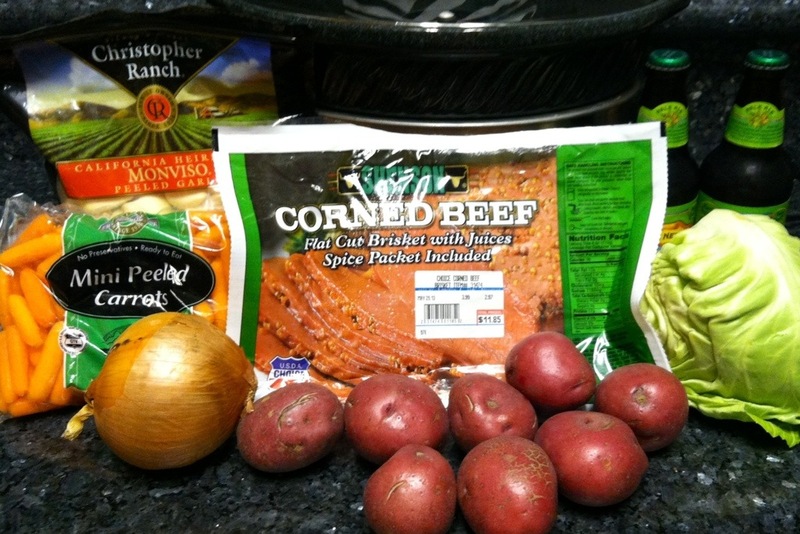 This corned beef recipe is fabulous – fast, frugal, and delicious. If you have never had corned beef, please note that it is salty and not the leanest cut of meat. Also, when the brisket is done, it will still appear pink. Happy March 19th! 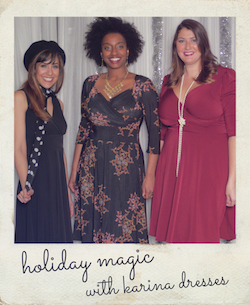 I’m a little behind the ball, but I am sooo making this! Yum! When I went to Costco they still had a lot of corned beef. Give it a try!